Celebrate Easter at Jackpot Capital Casino with 20 free spins for the Hen House slot! Redeem the coupon code 19E-FREE to claim your free spins and win up to $180 if your account qualifies. This coupon is from a postal mailer so it may only work for players who received it. Don't forget to check the casino message center for Easter free chips and fresh bonus codes this month. Good luck! 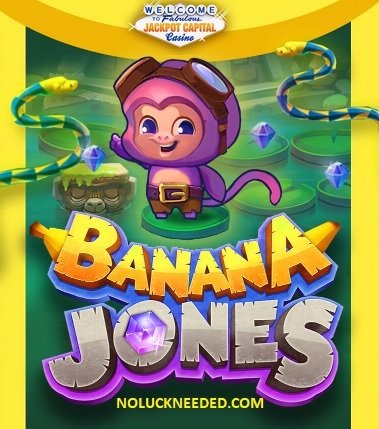 50 Free Spins for New Players: Register a new Jackpot Capital Casino account after clicking the banner below and claim NoLuckNeeded.com's exclusive 50 free spins (no deposit required) bonus code "NOL50" in the casino cashier. Duplicate accounts are not allowed. Good luck! CLAIM DAILY! NO Maximum Cashout; Standard bonus terms apply. The maximum bonus amount is $400. $45 minimum deposit. 30X deposit +bonus wagering requirement. Validity: Once per day until 30 April 2019. No maximum cashout! Minimum deposit is $45. Maximum bonus amount is $750. Valid on Wednesdays. Standard bonus terms and slots wagering requirement. $200 Maximum Cashout; 60x Free Spin Wins wagering requirement. $10 max bet. Slots and keno only. NO Maximum Cashout; First Deposit Only; Standard bonus terms apply. The maximum bonus amount is $100. $45 minimum deposit. 30X deposit +bonus wagering requirement. Cash in on your good luck this April and spin the reels of one of the best spring online slots as well as the luck of Doubling your Comp Points. Claim Your Easter Free Spins at Jackpot Capital Casino! Jackpot Capital Casino Reviews and Ratings at NoLuckNeeded.com! Jackpot Capital is a certified and recommended NoLuckNeeded.com RTG software online casino that has been reliable with payments since they were established in 2009. Jackpot Capital now accepts Bitcoin for deposits and withdrawals. Click here to read and share Jackpot Capital Casino reviews or complaints in the NoLuckNeeded Casino Directory. Max. Payout for the Free Spins: $180. Please note that the general promotion rules and regulation apply to this bonus.